Follow the teams on yellow tracker (see the link below) as they race to Plymouth. This will also be live for the return leg on Friday. 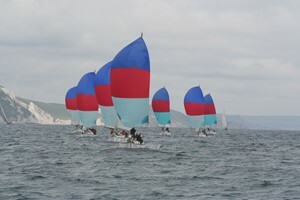 The SOR started yesterday with a race from the Eastern Solent to the Hamble. This morning an Offshore race began from Southampton Water to Plymouth. There will be an inshore series of racing on Thursday and a race back to Portsmouth starting on Friday. The prizegiving is on Saturday 23 June at 1600 - Venue Hornet Services sailing Club.